Hartco gives new freedom to consumers to personalize their living spaces. Hartco Quality Wood Flooring, among the top flooring brands in the world, has a reputation among commercial designers for design freedom. Hartco’s range and flexibility also satisfies a yearning for a highly personal, custom style in the home. Hartco patterns and contrasts help define interiors, from traditional to the avant-garde. 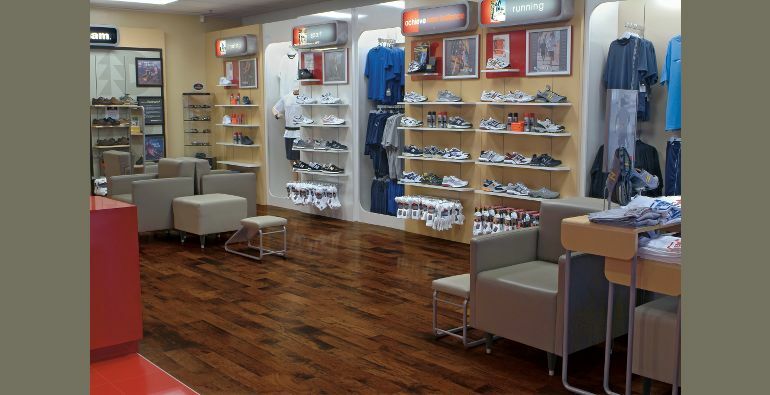 Since 1946, Hartco has been a leading manufacturer of genuine hardwood floors. Hartco became well known for its fresh approach to parquet, and built a following among commercial designers with leading design and a powerful bouquet of choices and patterns. A spirit of creativity exists in Hartco parquet, strip and plank floors – across an array of wood species, grains, patterns, colors, finishes and details. The Hartco designers’ palette gives consumers a choice for a custom approach that includes striking Hartco parquets, planks, strips in fashion forward colors and wood species. Armstrong staining and distressing techniques give their Heritage Classics Collection a charming, rustic visual; square edge and end details complete the bold yet traditional look. 5-ply, 3/8 thick engineered planks feature Permion finish for extra durability and reduced maintenance costs. Lifetime structural integrity and adhesive bond warranties and a 3-year commercial finish warranty make the Heritage Classics Collection a great choice for most commercial applications. Hartco’s Kona Wood Strip is an exotic floor available in four soft earth tone stains. Also available in a 3-1/4″ wide plank, this floor is manufactured with Micro-bevel Edges and Square Ends. With an Aluminum Oxide Low Gloss, Hartco offers and 15 Year Finish Warranty on this Kona series. A face-filled surface gives an exceptionally smooth appearance to Armstrong’s Metro Classics floors; micro-beveled edges and ends enhance this modern and elegant style. The 5-ply, 1/2 IN. thick engineered pieces are available in both 3 IN. wide strips and 5 IN. wide planks and feature Permion finish for extra durability and reduced maintenance costs. Lifetime structural integrity and adhesive bond warranties and a 3-year commercial finish warranty make Metro Classics a great choice for most commercial applications. Seeing and feeling is believing! We carry all Hartco Hardwood Floor samples. Visit our Showroom.